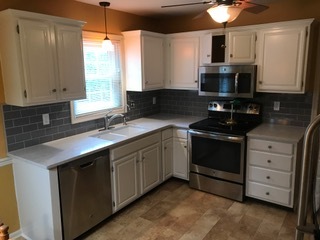 F&M Painting Co. is an expert in repainting kitchen cabinets. New paint, stain and refinishing on your kitchen cabinets is cheaper than replacement. The result is a stunning new look that finally gives you the kitchen appeal that you want. We love helping flip your cabinets!